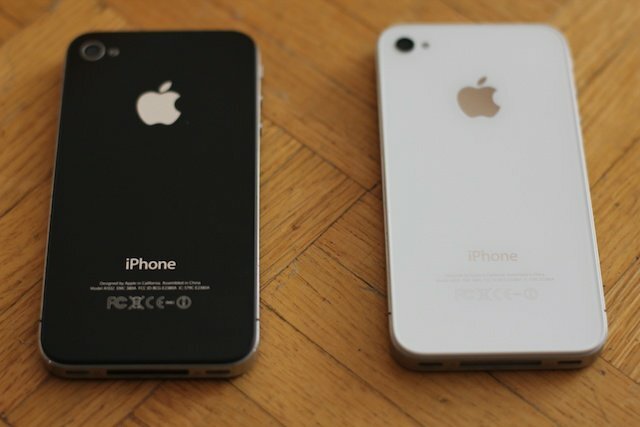 iPhone 4 vs DROID BIONIC: Which should you get? Android Central has their full Motorola DROID BIONIC review up and if you're trying to decide on a Verizon smartphone, suddenly you have something new to consider -- iPhone 4 or DROID BIONIC, which should you get? Sure everyone is waiting on iPhone 5 this fall, but until Apple announces it, it doesn't exist, and by the time it ships there'll likely be a couple dozen more Android phones on the market to compete with it. As of right now, today, if you're looking to get a new smartphone on Verizon and you just can't wait, iPhone 4 and DROID BIONIC are the choice you have in front of you. So let's help you decide. It took roughly 8 month for Verizon to get the iPhone 4 after AT&T got it in June 2010, but it took Verizon just about as long to get the DROID BIONIC launched after announcing it in January 2011. So one is aging but proven and the other is late to market but chock full of all the latest goodies. iPhone 4 is small, with a 3.5 Retina Display (960x640) screen, stainless steel antenna band, and glass on both sides. It feels as much a work of industrial design art as it does a phone. Solid. Iconic. But did I mention -- small? DROID BIONIC is as big as it's shouty, all caps name implies. It's got 4.3 inches of pentile display (960x540) in the typically Motorola top notch if top heavy design aesthetic. Neither iPhone nor DROID BIONIC have front facing cameras worth writing home about -- or taking much more than a profile pic or video chat with. On the back iPhone 4 has a 5 megapixel cameras that's garnered rave reviews for it's quality, while DROID BIONIC has 8 mega pixels but seems to be a more middling shooter. However, where iPhone 4 tops out at 720p video, DROID BIONIC keeps going all the way to 1080p. iPhone 4 gets phenomenal battery life, typically lasting through a day of moderate use on 3G. LTE demands more power, however, so while DROID BIONIC is better than previous 4G phones when it comes to battery life, it can't work miracles. What it can do that iPhone 4 can't is switch batteries out if it has to. 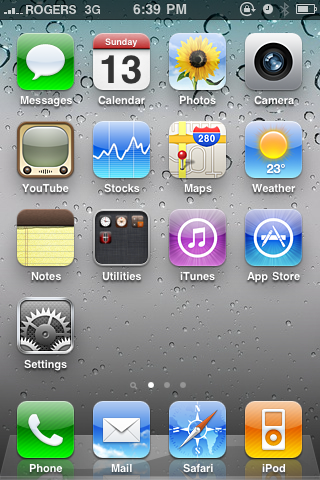 Still, iOS 4 is highly polished, highly functional, and addresses previously lacking features multitasking, folder organization, FaceTime video calls, personal hotspot, and other features. Check out our complete iOS 4 walkthrough for more. Both iOS and Android handle Google services very well, though Android has more of them, including Google Navigation. However, only iOS gets Apple software and services. Apple still technically has more apps in the iPhone app store than Google does in the Android Market, but the truth is most of the types of apps you're likely to want are available for both platforms. iPhone apps tend to look better and provide a better user experience but Android apps tend to be able to do more and offer more options. iPhone 4 has been on the market approaching 15 months so there's a ton of accessories available for it (just check out the iMore Store for a taste of what's available). Plus it ties into the massive iTunes and Apple ecosystems. Chances are you can find everything from the perfect case to peripherals that will check your blood or fly your toy helicopter. Because DROID DROID is so new and there are so many different Android phones, you can still find the basics but it will take a while for more accessories to show up and they'll fade faster when the next big Android phones splashes down in a few weeks (keep and eye on the Android Central store to see what I mean. Then again, it works with Motorola's laptop-style keyboard and screen terminal, which is very cool. An impressive new design, amazing new display, key features like multitasking, and an attempt to mainstream video calls, along with hundreds of other little improvements combine together to make this a substantial upgrade and clearly the best iPhone ever. (Given the success of previous iPhones, that’s no faint praise). There are trade-offs. There are caveats. And there's the fact that, yes, the Droid Bionic was overhyped. But there's also this fact: The Droid Bionic without question is currently the best LTE-enabled smartphone in Verizon's stable. How long will it remain on top? We'll just have to see. So if you're in the US and on Verizon, and you need a phone now, today, and are trying to decide between iPhone 4 and DROID BIONIC, which should you get? If you want the elegance of iOS and don't want to fuss around, if you want it to just work, if you want the biggest choice possible of apps and accessories -- as long as Apple approves them, if you want to stay in the iTunes ecosystem, and you want it wrapped up in what's arguably still the most solid, most iconic hardware on the market, get an iPhone 4 and enjoy. If you want the sheer power of Android and the speed of LTE, if you want the latest, greatest specs on the market -- for the moment -- if you want to be able to customize without having to hack your phone, and if you want a big phone with big functionality, get the DROID BIONIC. However, if you can wait, if October isn't too far away for you, then hold off a few weeks. Apple just change the equation again with iPhone 5, and Verizon may have an even better Android on the market as well. 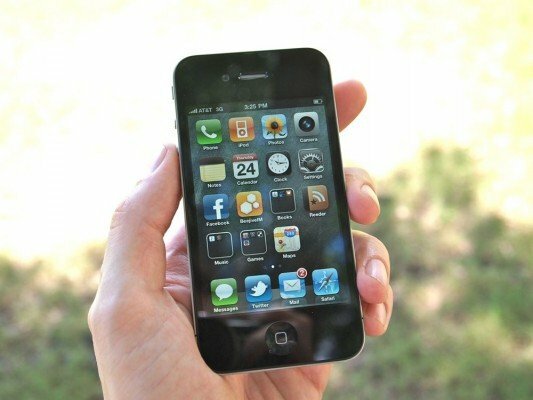 If you need more help deciding, read TiPb's complete Verizon iPhone 4 review, compare it to Android Central's full DROID BIONIC review, and if you have any questions, jump into our forums and ask away!